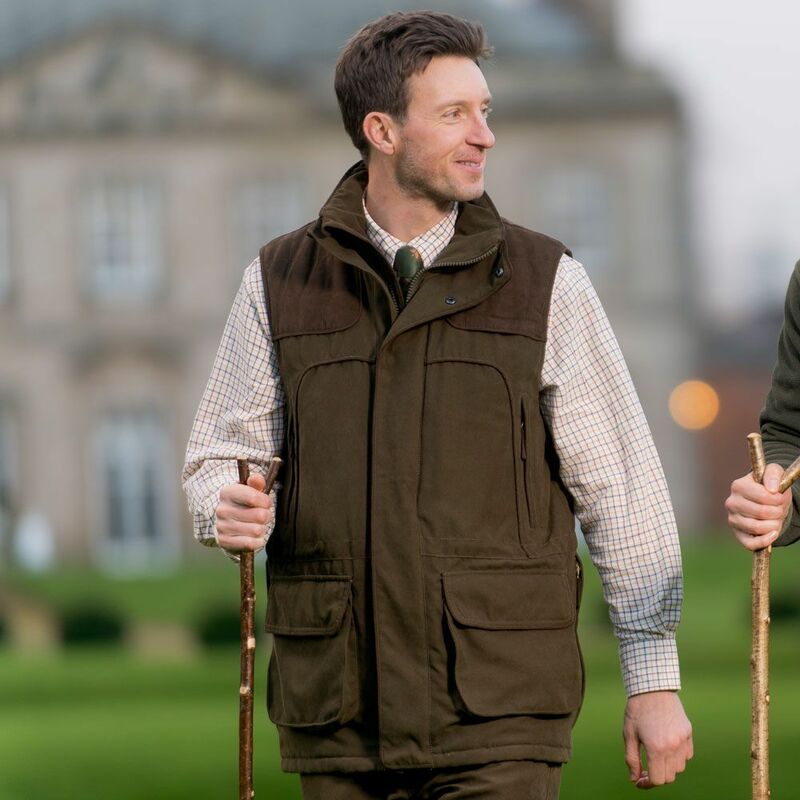 The men's Kensington gilet accompanies the Kensington trousers and jacket in the range and comes in moss olive/brown. The gilet utilises the same waterproof and breathable fabric and quilted shoulders as the jacket. For extra comfort the Kensington gilet has a adjustable cord at the waist and upper hand warmer pockets. For extra security we have included a document pocket. Why not try this with one of our Sherwood Forest shirts to finish off the outfit?